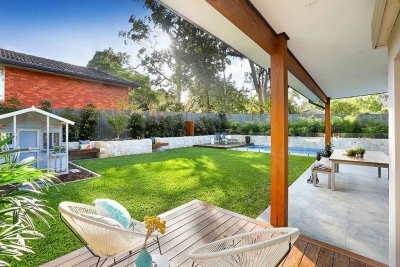 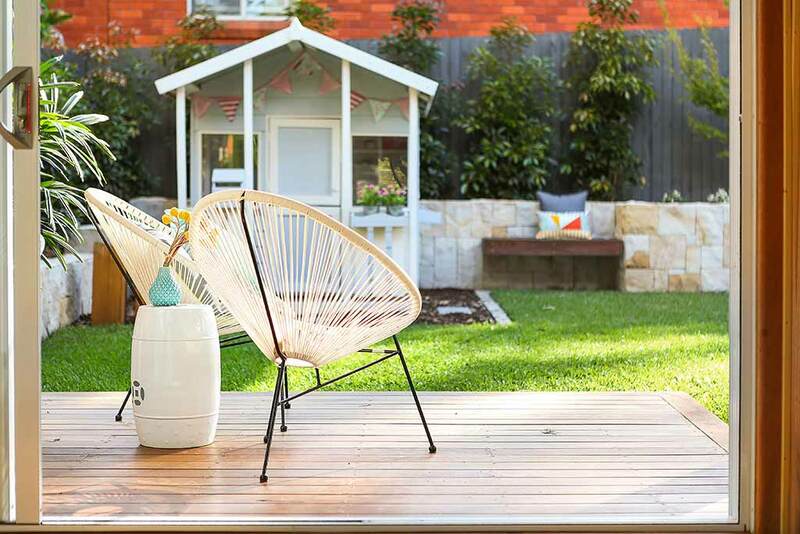 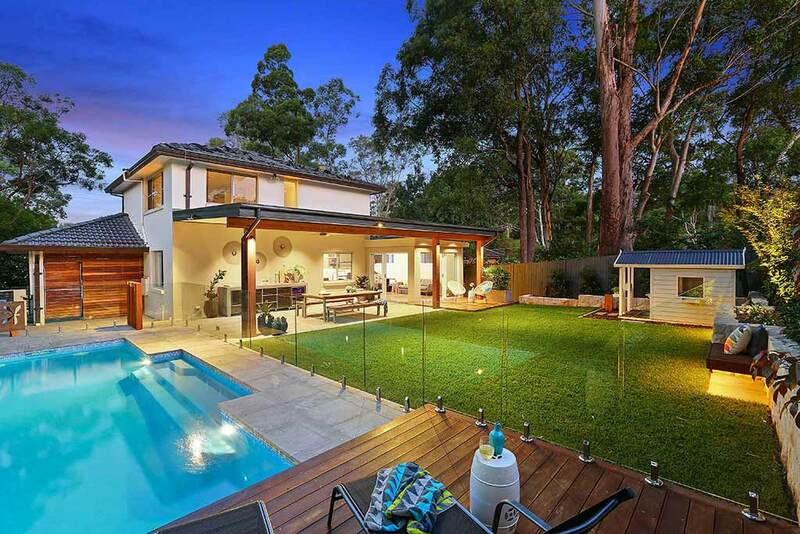 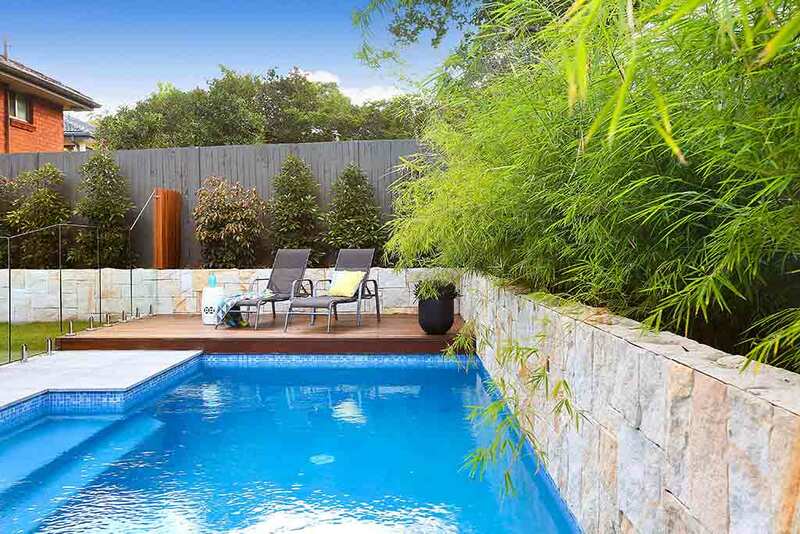 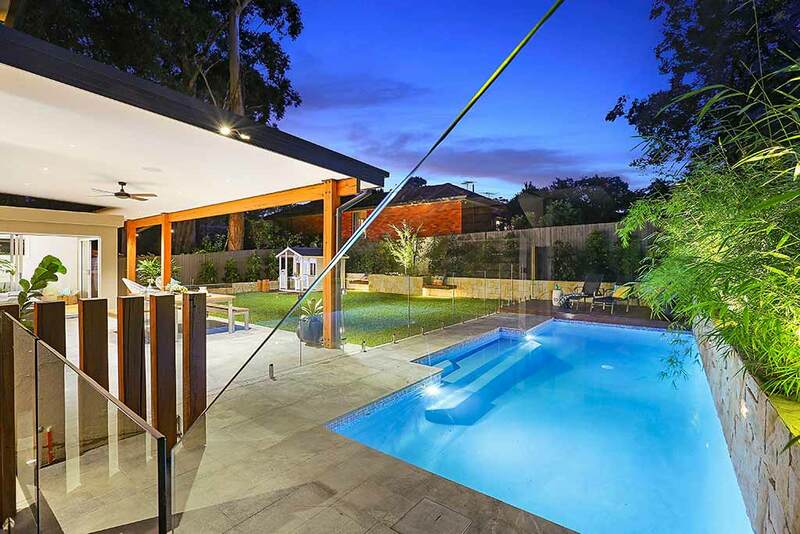 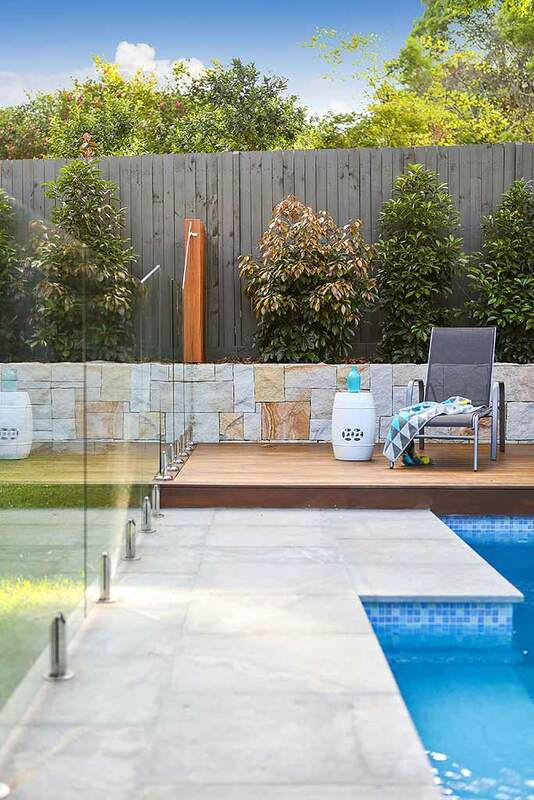 The owners of this home in West Pennant Hills desired an outdoor space that was inviting, functional and one they could entertain in all year round. 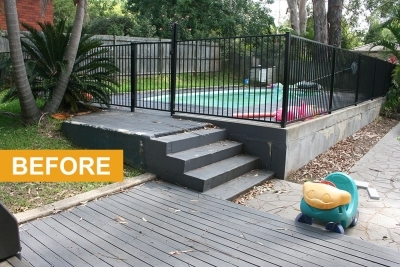 The original space was very clunky, impractical and bland. 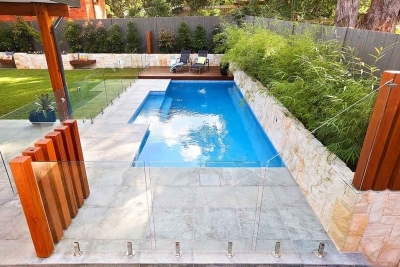 A large pool took up most of the backyard, leaving a small uneven grassed area. 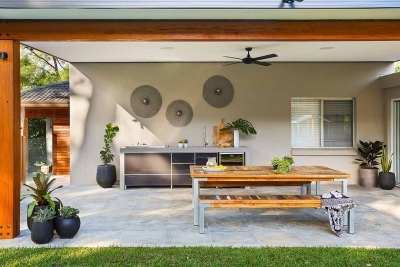 A paved area with no pergola became so hot in summertime that sitting outside was almost unbearable. 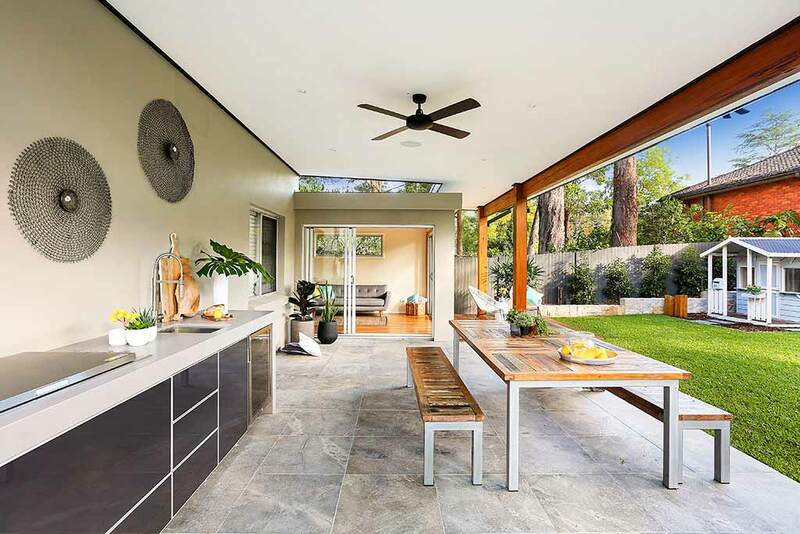 Our plan was to completely change the layout of the space so that it flowed effortlessly from the indoor living area and allowed more room to entertain. We removed the existing pool and excavated the surface to new levels, something we have done at other sites we can be seen in our portfolio. 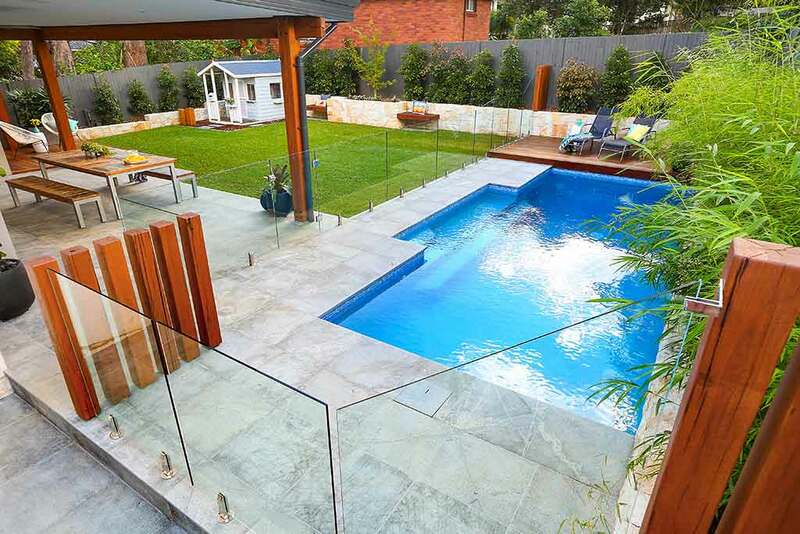 A new 8x3m pool was installed along the side of the property, which allowed for a larger turf area. 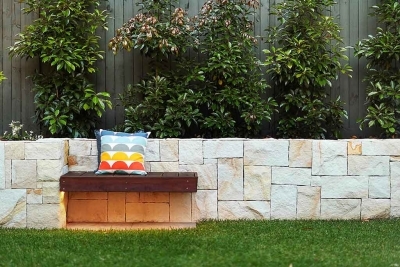 We built a dry-stacked sandstone retaining wall as a feature along the pool and we carried this on around the perimeter of the backyard. 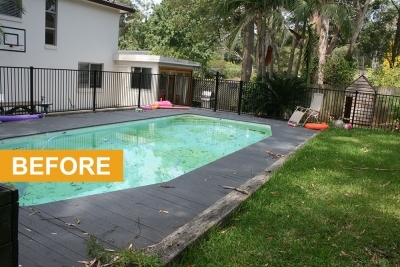 We installed a raised Spotted Gum deck at the back of the pool for sun-loungers. Empress grey granite tiles were used for the pool surrounds and pergola area. 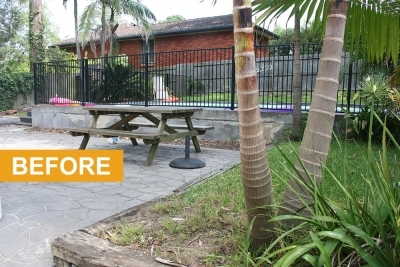 A unique feature of the backyard, are the old recycled telegraph posts. 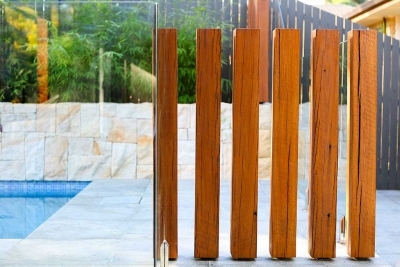 Milled to absolute perfection, they hold the pergola roof in place and are also used as a feature in the pool area to contrast with the glass fence. 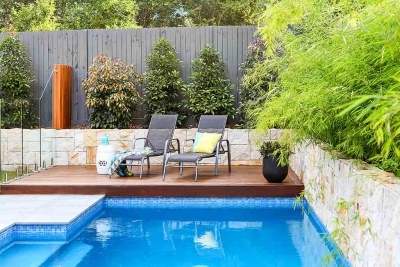 We planted Weeping Bamboo along the pool, Elaeocarpus Eumundi around the edges of the garden for privacy and a Japanese Maple feature tree in the centre rear of the garden. Two Spotted Gum hardwood floating bench seats sit on either side of the Maple. A small decking area off the house makes for a great spot for the owners to sit, relax and watch their girls play in their Aarons Cubby house. 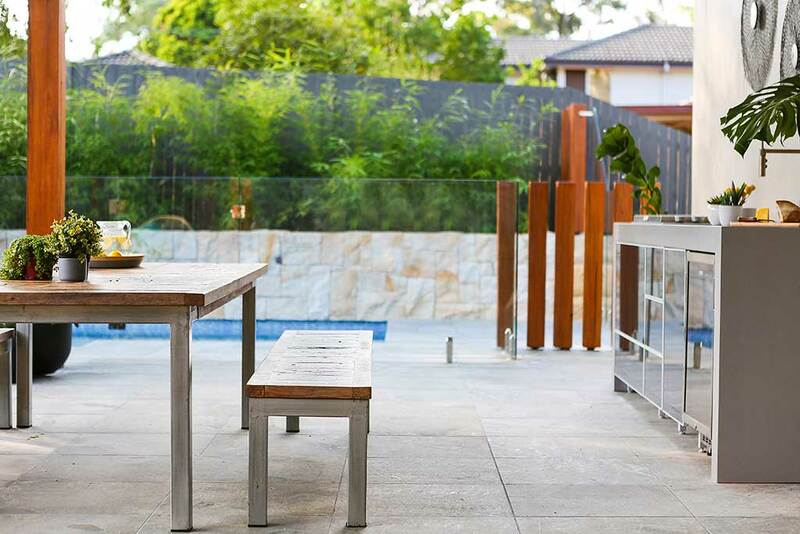 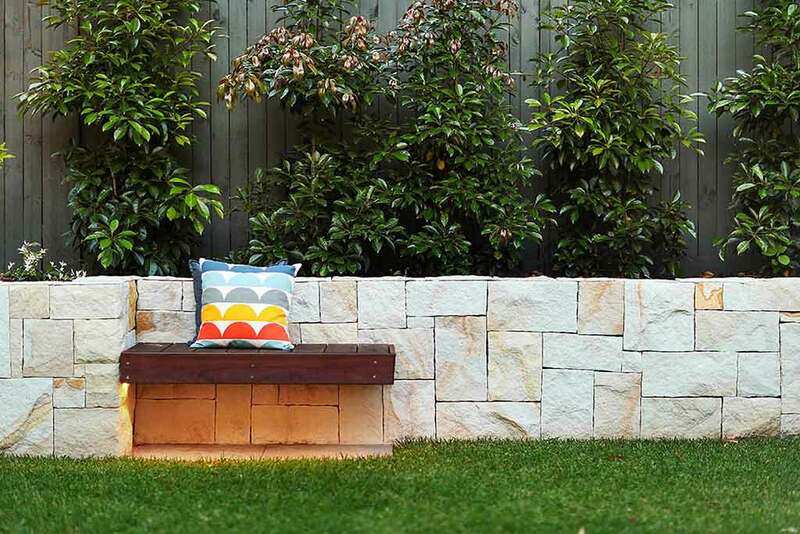 We are all about creating outdoor spaces that you will love and your neighbours will envy. 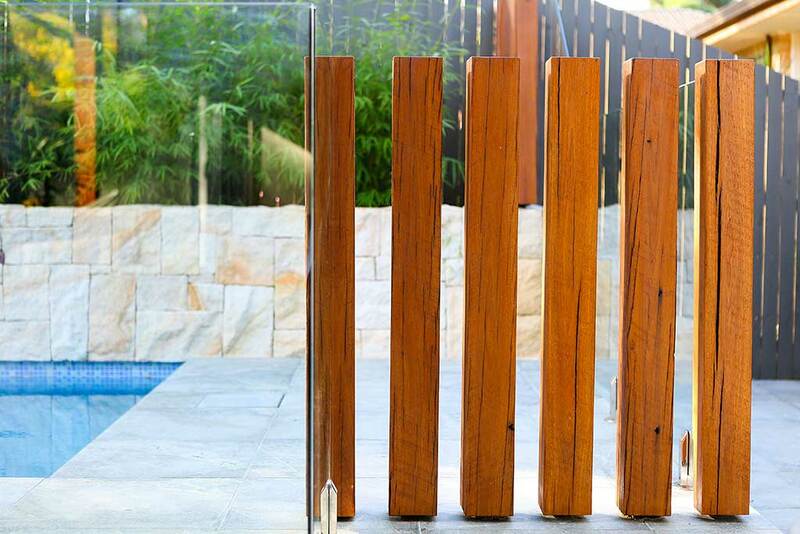 We like to add a unique touch to each landscape we create, as can be seen above with the use of old recycled timber posts. Speak to us today about what we can create for you. 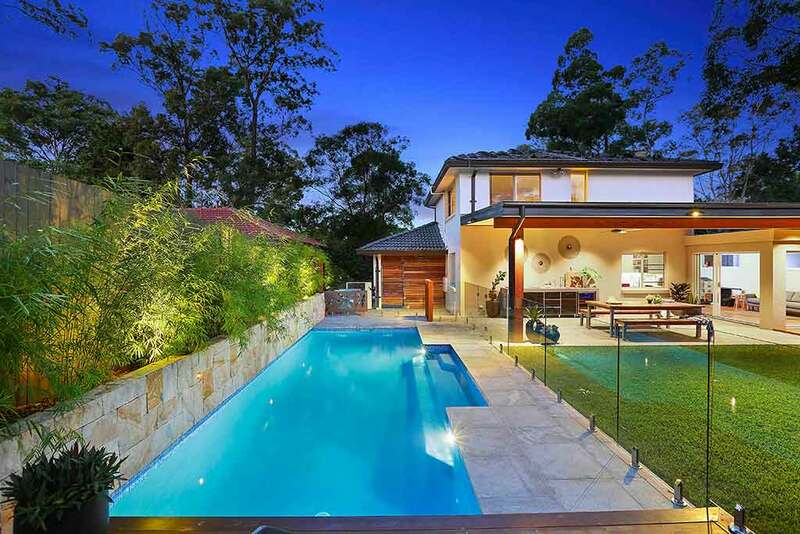 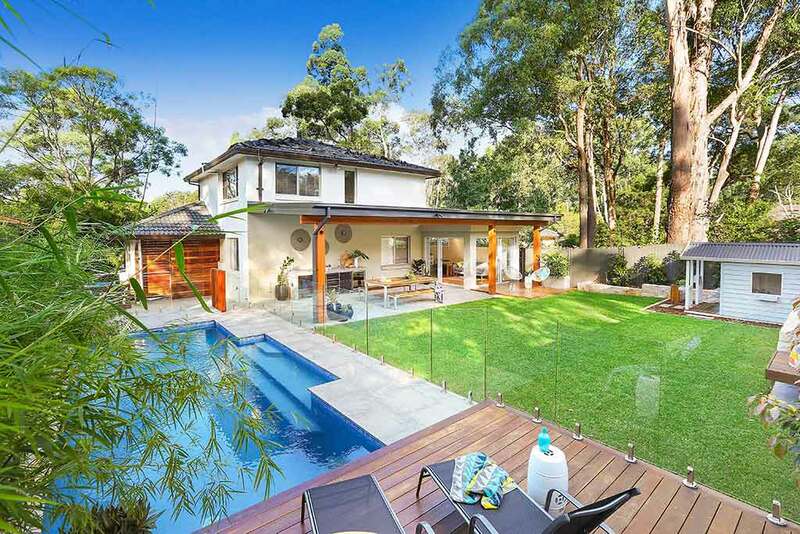 This West Pennant Hills house is just one example from our extensive portfolio, please take a moment to browse some other examples.